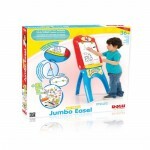 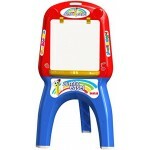 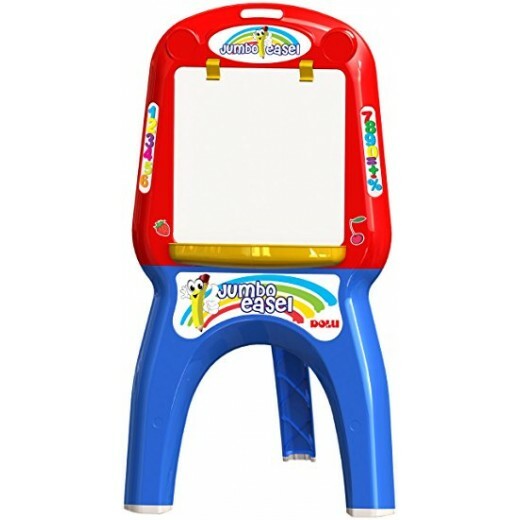 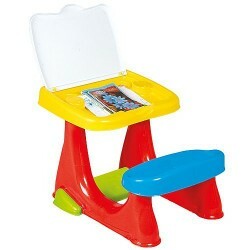 Little artists will have an art-tastic time drawing and creating masterpieces with this Jumbo Easel. This sturdy, artistic play set encourages kids to be creativity and allows for them to develop fine motor skills through drawing, writing and colouring. 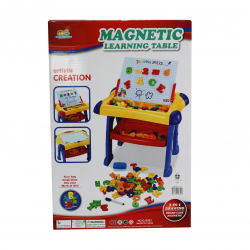 Encourage development and creativity in your little star, and give them a place to explore their creativity. 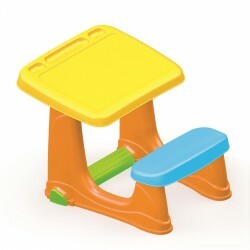 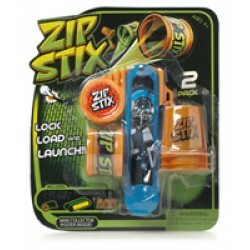 What is a toy? 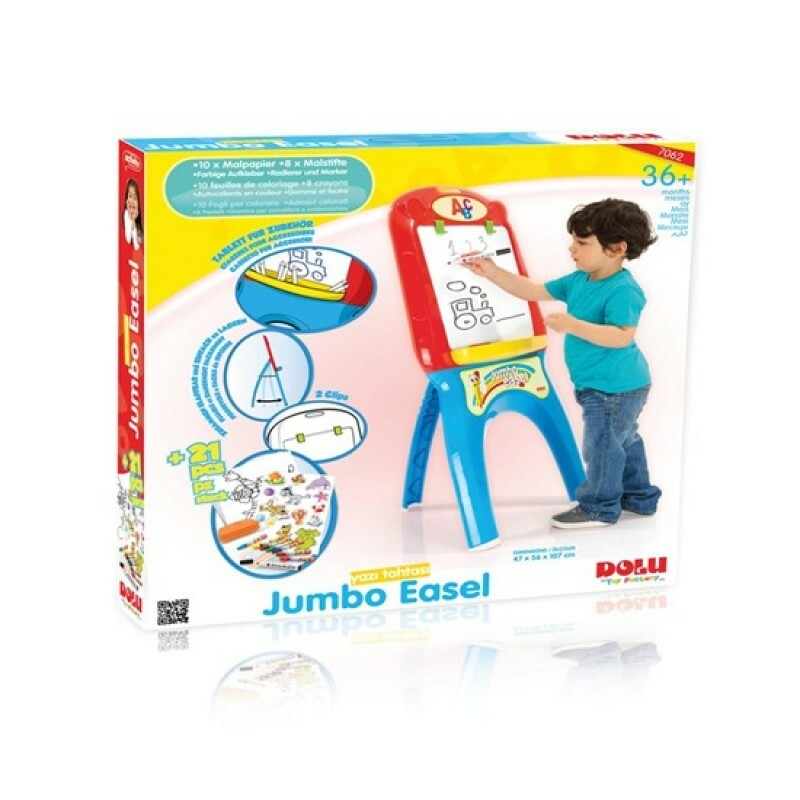 At Dolu Toys, we believe that all materials that shape the lives of children, by helping them to improve their imaginations and develop mentally, physically and socially are toys. 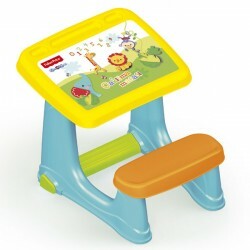 We understand that playtime should be instructive as well as fun and we are proud to produce products that are educational and entertaining, dynamic and delightful. 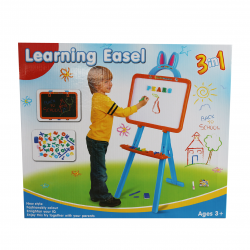 The jumbo easel has a black board and white board, and a drawing paper hold so you can use it for any art form you want to, comes with an eraser and a marker, foldable for easy storage and portability. 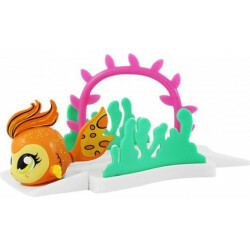 Guppets Pearl Lodge & Coral Bridge Playset Assorted Features:&Bull; 2 X Styles ..